Day 4 of giveaways is here! 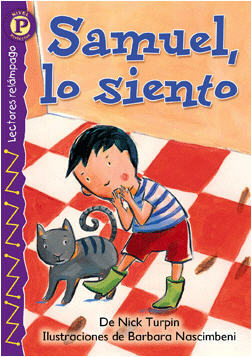 This one is for all my readers who are looking for Spanish resources. Los pollitos dicen, The Baby Chicks Sing by Nancy Abraham Hall and Jill Syverson-Stork. 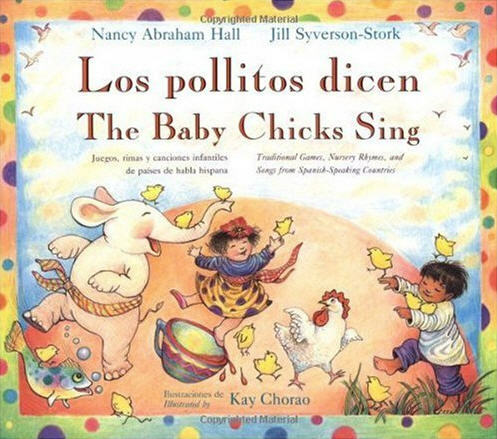 This is the most joyful and sweet bilingual collection of traditional games, nursery rhymes, and songs from Spanish-speaking countries. 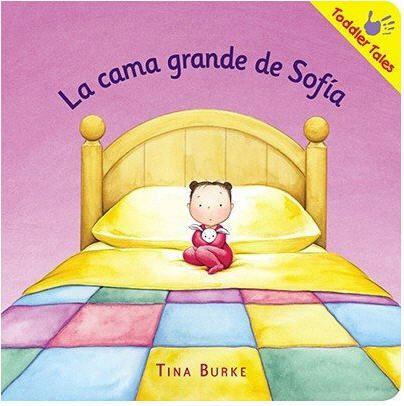 La cama grande de Sofía by Tina Burke. Published by Kane/Miller Books who specialize in translating children's literature from around the world. Samuel, lo siento by Nick Turpin. An early reader from Lectores relámpagos, level P: Prelector. 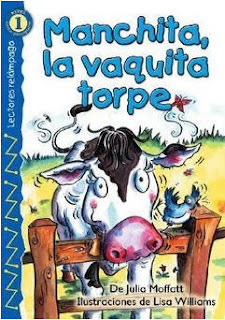 Manchita, la vaquita torpe by Julia Moffatt. Another early reader from Lectores reláampagos, level 1: Lector principiante. I took the survey, too. Great! I was just thinking the other day about how I need more Spanish books to read with my daughter. I'm not fluent and still have a long way to go, but reading is one of the keys to getting my daughter there and building her interest in Spanish. ¡Que colección tan maravillosa! Especially 'La Cama Grande de Sofia' - the illustration makes me think of my Xochitl when I try putting her in her camita. Beyond naps she won't have it! I love children's books in Spanish! Those look like some fun books. I took the survey, too! Awesome set of books to use with my kids and my students! These would be wonderful to read with my boys.